A good house flip takes a lot of work. 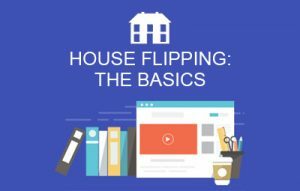 By following these 5 simple steps, you will have the basics in place to make sure that your flip is not a flop. The 5 steps below are a basic outline for flipping a home, but they are some of the most important steps that you should take. Start Smart: A house flip always starts with research. Learn as much about a property as you can before buying it. Take the time to make sure you can actually make money off of a property, and make sure that you have the skills necessary to do so. It may take quite a while to get the hang of flipping houses, but it can be done. Have a Budget: Your budget is the most critical tool that you have for your project. You should take the time to see what needs to be done on the house, and then decide how much of a profit you can realistically make. The budget should be the difference between those two numbers. You will have to pay contractors, pay for materials, and keep money in reserve for holding costs and possible emergencies. Your budget is a number to which you should stick no matter the circumstances. Stay Realistic: Realism is the key when undergoing a house flip. Ignore everything that you see on television, and try to stick to the facts of your own flip. Remember that this house is meant to turn a profit, not to become your personal dream home. Make sure the house is in a condition to sell, but do not overdo it personal touches can be the kiss of death for a flip, and can keep the house on the market for far longer than necessary. Stage It: One of the often ignored parts of a good house flip is the staging process. One should always make sure that the house itself is presentable to buyers. You want to be able to show off the word you have done, but you should also make sure that buyers can see themselves in your house. Dedicate a bit of your budget to staging, and you should be able to reap the rewards when it comes time to make the sale. Set the Price: Once you are done with the house, you should set your price. You should have set an initial price before the flip began, but your last step should be to make sure that the price you had previously set is realistic. Take the time to look and make sure that the market situation has not changed during your flip, and check to see if there are any new comps on the market nearby. You may be able to adjust your homes price up or down due to these changes. To successfully undertake a house flip, you must research, set a budget, stay realistic, make sure the home is well staged, and make sure that you have set a good price. If you can do all of this, you are ready to flip a house. It may take a little effort at first, but in time following these steps will be second nature. Be the first to comment on "House Flipping Basics for Profit: The Beginner’s Guide"